Mary L. Booker represents who we are and who we aspire to be; she is the epitome of our vision and values. She lived a life full of purpose, passion, and dedication to the Bayview community, her home since 1955. She is most well-known as an artist and an integral leader of the Bayview Hunters Point community. Her company, Infinity Productions, wrote, produced, and directed plays about civil rights and social justice. She was an icon at the Bayview Opera House from 1961 onward, and she offered free acting workshops to the Bayview community for years. In 2007, the San Francisco Public Library honored her with an Unsung Hero Award for her work documenting the Bayview Hunters Point community. Beyond her accolades and awards, Mary L. Booker embodies our core values. First and foremost, Equity: she believed in the potential of all people, especially children of color, and she constantly advocated for them through her life’s work and daily actions. She was a mentor, encouraging and developing all those around her. 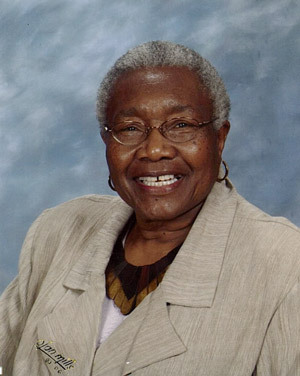 Leadership: Mary L. Booker valued the importance of a quality education, and she was extremely frustrated that she had not been able to receive a college diploma. She fought to ensure that her family and community members had the opportunity to attend excellent school. Community: She took great pride in the Bayview community, and she saw it as her responsibility to create opportunities that would not otherwise be there. Her family describes how her door was always open, ready to listen and help people solve their own problems so they could be their best selves. And finally, her clear sense of Purpose: she embodied a life of full of meaning, one that had a tremendous impact on the greater community. She was an activist, an advocate, and a hero to many, who saw her as the “big light” in the midst of their challenges. When we think of our ideal graduate, we think of Mary Booker. Whether our scholars choose to be playwrights or pediatricians, actresses or accountants, we want each and every one to be prepared to live lives as influential and meaningful as that of Mary Booker. We are honored and grateful that Mary Booker’s family has blessed us with the opportunity to uphold her legacy by naming our school after this tremendous woman.